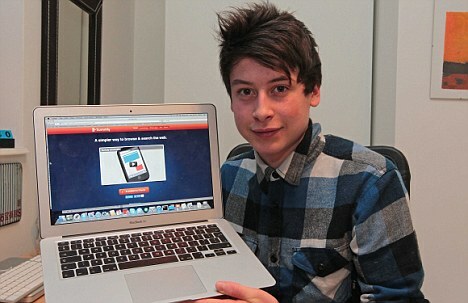 Nick D’Aloisio is the founder of Summly. He is popularly known as the youngest person in the world to receive a round of venture capital in technology. He was just 15 years of age when the round was closed. Summly is a free application that allows you to browse the web in a conceivable and efficient manner and preview the content on the site. It provides summaries of web results of articles and web pages, thereby saving you time, and makes browsing effective and seamless as possible. In the words of a university student, “the app is priceless”. It is a tool that makes work easier and faster. Summly gives concise summaries of all the search results that come up, it is made for anyone who has an iphone, it summarises a web page, and you can instantaneously gain knowledge of a website’s content whilst browsing on a mobile device. As I always I say, simple is great!!! Nick developed the idea and started when he was 15 years old, in March 2011. The idea popped up when he was doing his assignments and studying for his exam and he was using Google, he spent a lot of time on different pages, and not being able to evaluate the content behind the results he found pushed him to the idea. Then he looked for a tool that could summarise each page, when he didn’t find one, he decided to build an application that served this purpose. From there on, Nick developed the idea, and the initial application was called Trimit. But the success and the potential of the tool attracted Horizon Ventures a company owned by the 11th richest man in the world Hong Kong based billionaire Li Ka-shing. He flew Nick to New York from London and raised venture funding of $250,000 and also promised all the investments he would need. Summly had over 100,000 downloads in its first month of release from 13 December 2011. Interesting points to note from this are: Age is not a barrier to success: Simplicity is great, the idea behind this tool looks simple but there is great future for this tool. Also we should all learn to spot opportunities from challenges, like Nick did.